Give me id pw i give you 99999 rp ! wow ! 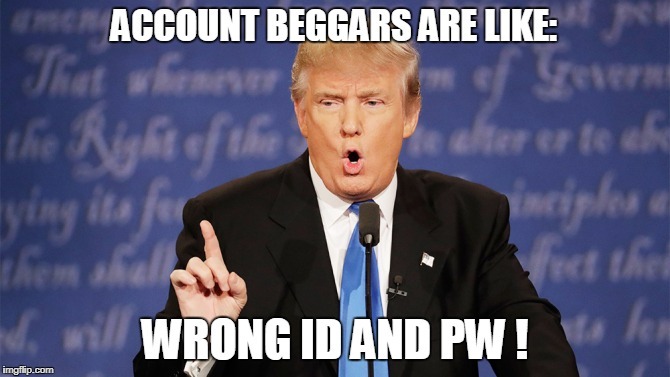 ACCOUNT BEGGARS ARE LIKE:; WRONG ID AND PW !